I read the news on a daily basis, however I will admit before my program began I wasn’t such an avid reader. Now that I know what’s happening in the world, I feel more connected to other people’s stories. With that said, during the second semester of school we were asked to read Journey for Justice: How “Project Angel” Cracked the Candace Derksen Case. 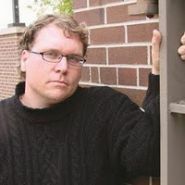 Mike McIntyre, the author of the book, wrote a beautiful piece on a young woman named Candace who was kidnapped and left to freeze to death in 1985. 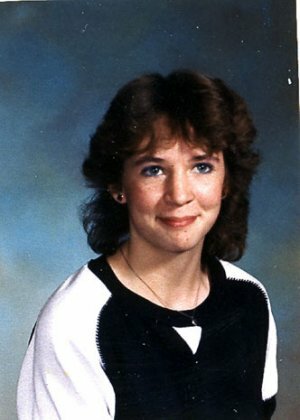 26 years later they found her killer- Mark Edward Grant. While reading the first half of the book, I grew emotionally attached to the Derksen family. I imagined that if my sister were ever taken, I would have searched every corner of every street to find her. That is exactly what the Derksen family did. I enjoyed how McIntyre grabbed the audience’s attention by telling what happened through the eyes of the parents. How it happened and the pain the family felt and how eventually the case was solved, which was a sign of relief. It was interesting to read the second and third half of the book. 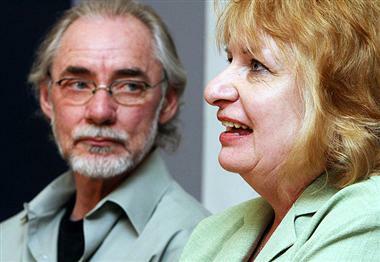 Finally, after so many years, the Derksen family could put a face to Candace’s killer. Though it was an incredible discovery, I still remember Wilma Derksen’s words when she came to speak to our program Thursday March 15. She said the mystery of her daughter’s killer wasn’t even important. But after so many years finding out who it was, and trying to search for those answers yet again, it was as if all those emotions of losing Candace came back. I’m not a mother, but I know a few of my classmates who are. I could not help but look at them. If I was already feeling heartache, they must have felt it even worse. The most beautiful thing about Wilma is how sincere, kind and loving she was towards our class. That’s where I believe that one of the most important lessons journalists can learn is despite what stories come our way, being sincere, kind and loving towards other people and the challenges they have faced is more powerful than any story that has no emotion to it. This is exactly what was shown in the book; emotion, love, and heartache. I’ve read plenty of McIntyre’s stories in the Winnipeg Free Press. It is nothing compared to his style of writing in this particular book. His stories in the newspaper lack emotion and are informational. Though many of my classmates may argue that towards the end of the book McIntyre discussed the psychiatric reports in plenty of ‘boring’ detail, but personally I felt it was needed to better understand the psychology of killers and to get closure on Candace’s story. Overall, for journalists and non-journalists Journey for Justice: How “Project Angel” Cracked the Candace Derksen Case was a good read despite all the spelling mistakes. I would recommend it to my family and friends- actually I already have. if i should have a daughter.